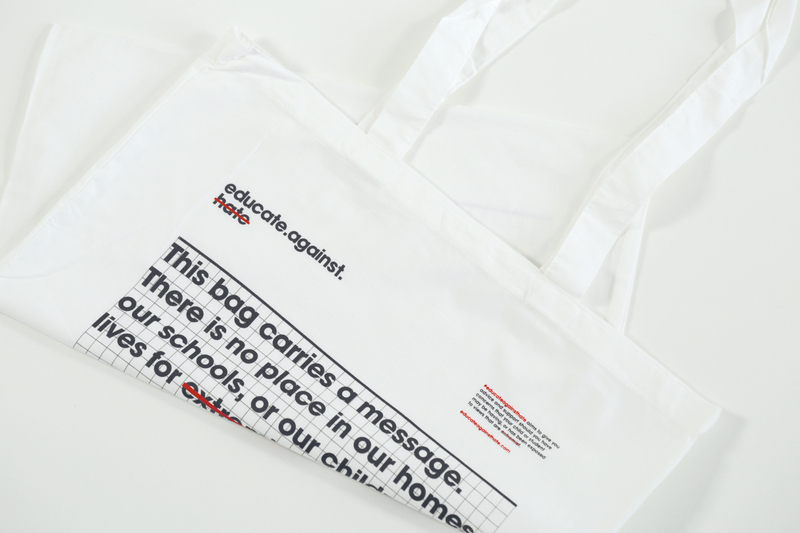 ‘Educate Against Hate’. 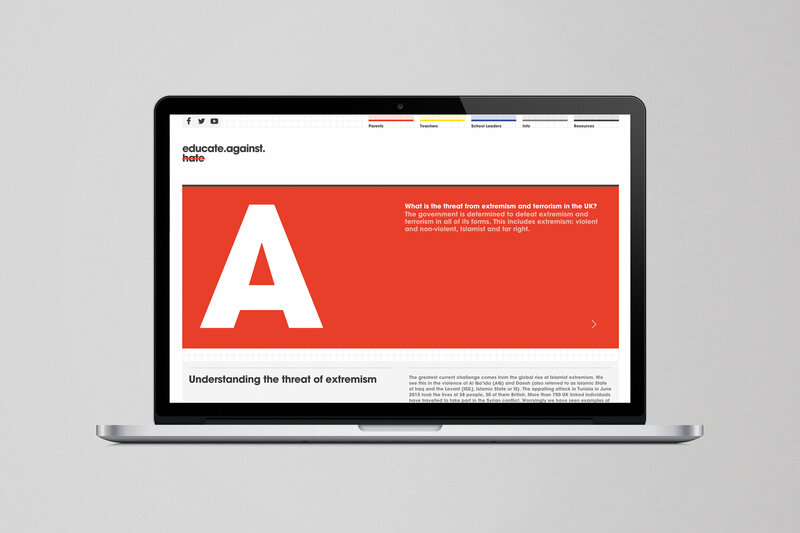 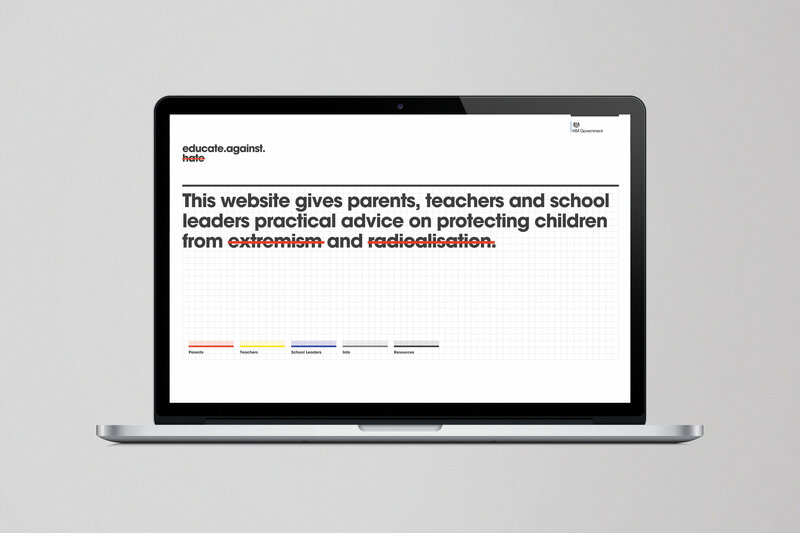 A campaign aimed at uniting parents, teachers and school leaders, arming them with the right tools to help keep their young people safe from the influences of radicalisation. 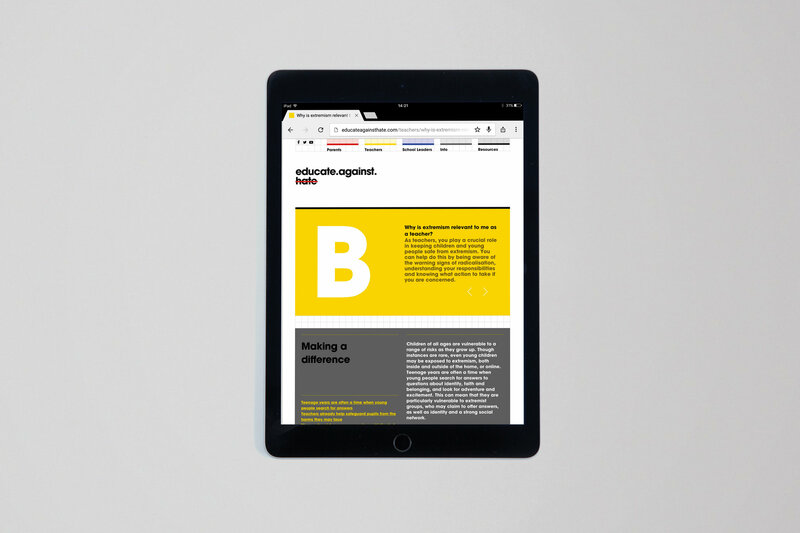 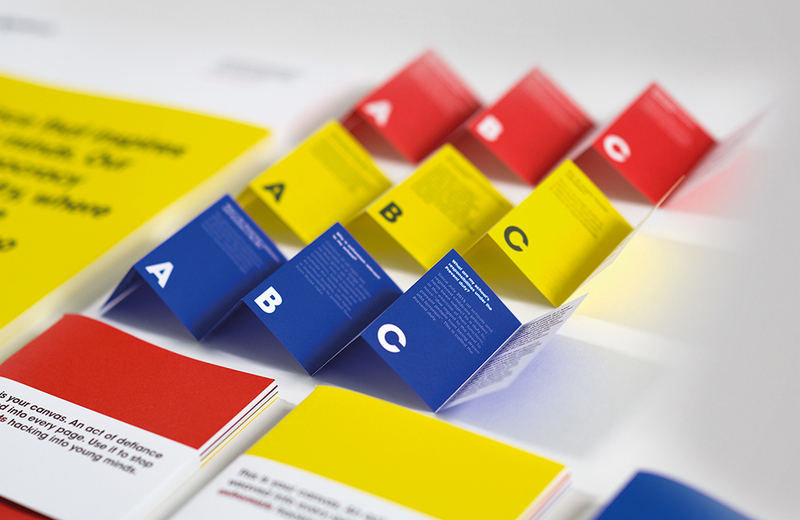 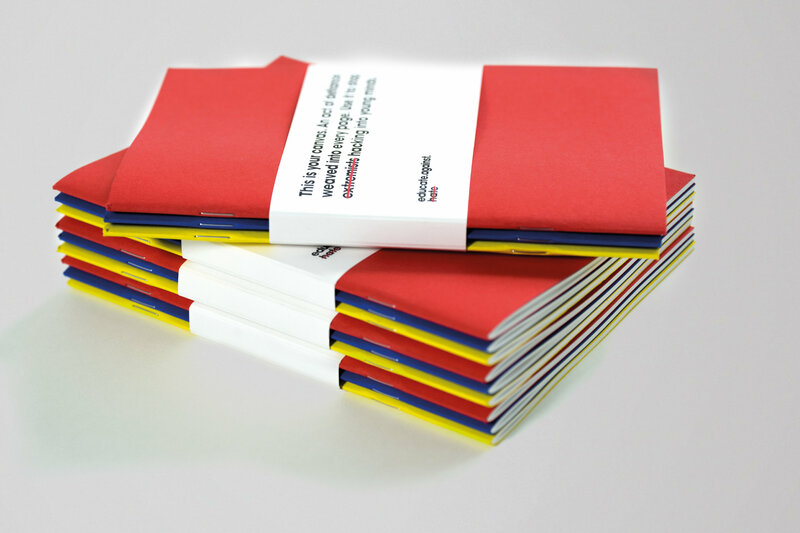 A carefully designed and intuitive website, using a typographical approach, allows users to apply their own experiences and concerns to the content. 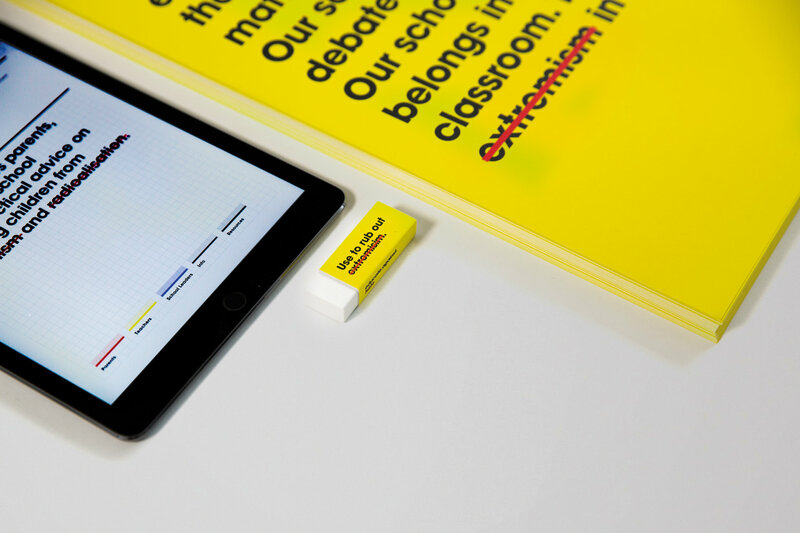 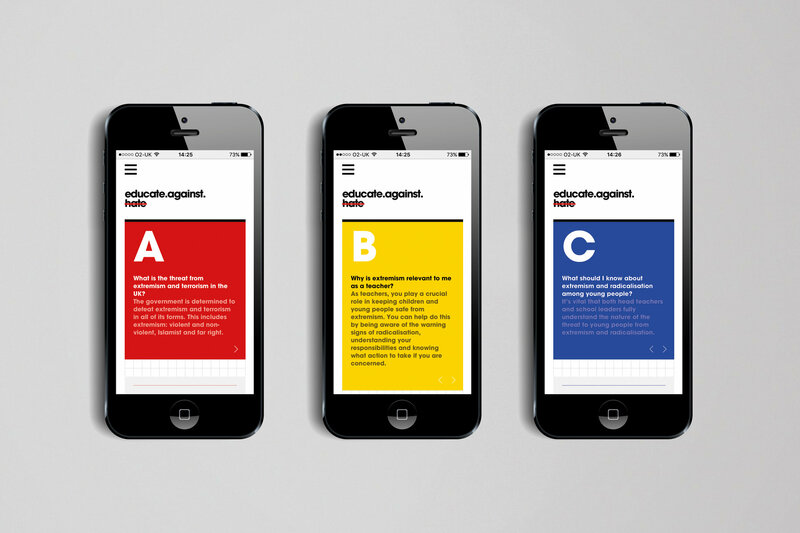 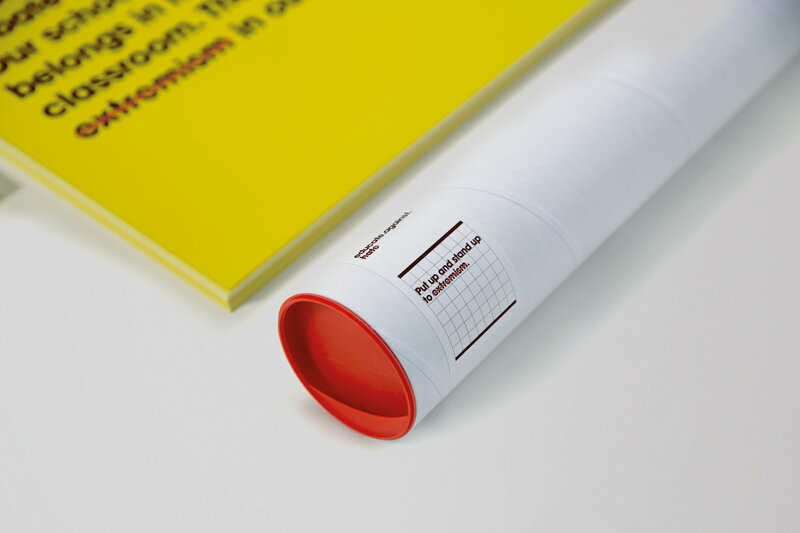 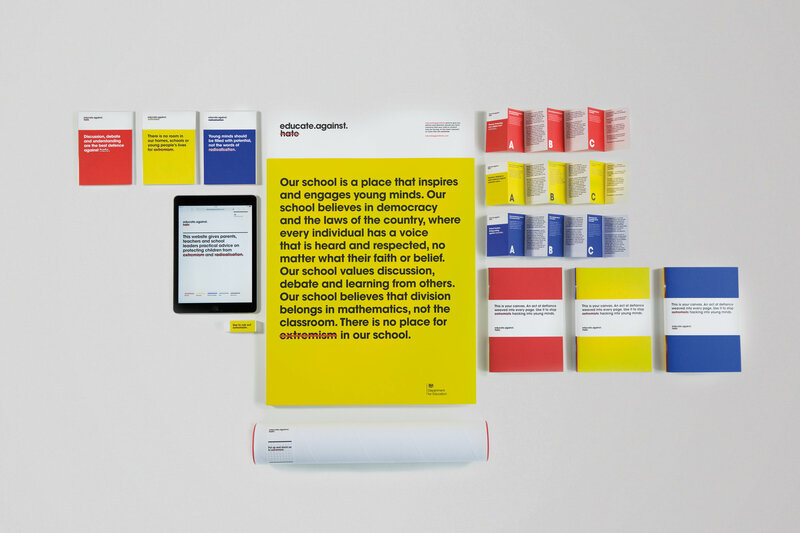 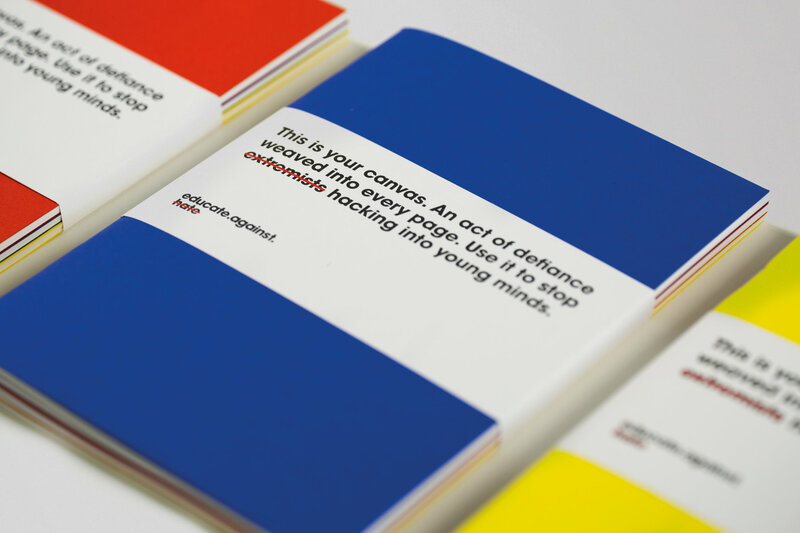 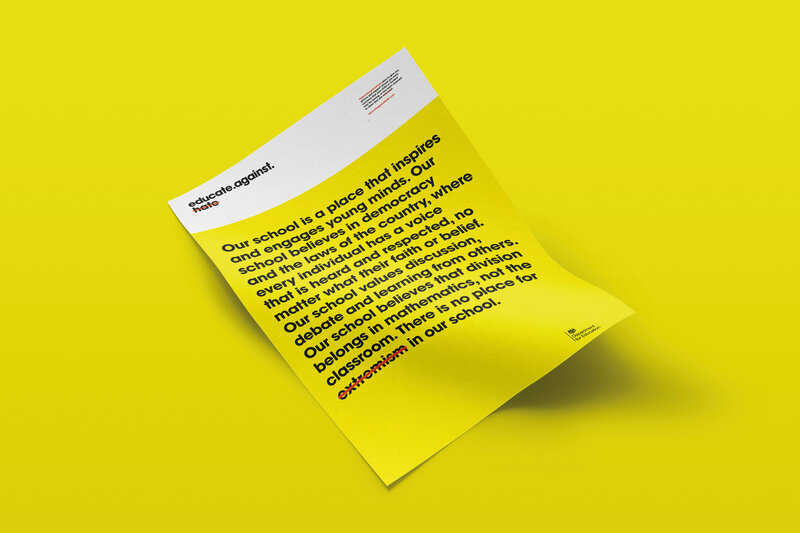 The campaign then rolled out through direct mail posters, newsletters and other collateral materials, connecting with schools to continue the dialogue, driving traffic to the website and encouraging everyone to educate against hate.